Anyone who regularly drives a vehicle is at considerable risk of eventually getting into an auto accident. There are some 10 million accidents in the US every year, taking in everything from the most minor to the most serious. About 2 million of those accidents cause personal injuries of some kind, and in California alone, there were 3,623 crashes resulting in fatalities in 2016. If you do get into a car accident that leaves you or a loved one with serious, costly injuries – you should waste no time in searching for skilled Los Angeles auto accident lawyers who can maximize the compensation you’ll get in a tort action. Going it alone almost never works. You have to have an experienced injury lawyer fighting in your corner if you want to successfully navigate California’s sometimes complex injury laws, court system, and the “wiles” of potentially unscrupulous insurance companies. 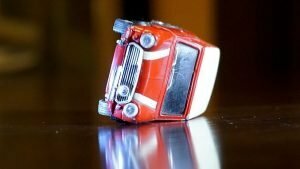 Anyone considering filing an accident claim/suit should understand the basics, at least, of California’s auto accident laws. First, California is a “Fault State,” meaning you have to prove the other driver is at fault before you can collect from his/her auto insurance company. You may need legal help just to establish fault, for rest assured the other party and insurer will be less than eager to admit it. Second, California follows pure comparative negligence rules in determining who pays how much in accident claims. That means that if the other driver is mostly at fault, but let’s say you are found to be 20% at fault, you can only collect 80% of your total losses stemming from the accident. A good lawyer can help deflect attempts to falsely ascribe at least some of the fault to you in an effort to reduce your claim. Just calculating how big of a financial impact an auto accident and injury has had on you is a complicated task. First, you have to add up all of your “economic damages.” That includes medical expenses (past and projected future), loss of income, loss of earning ability, property damages, and miscellaneous out of pocket expenses. There are no limits on economic damages. It just goes on actual costs incurred. But it takes some experience to know how to add up your full claim, leaving nothing out. Second, you may be entitled to non-economic damages, for such things as physical pain and suffering, permanent disablement or disfigurement, and emotional or mental distress. This is often calculated by a multiplier based on your economic losses. Failing to file for property damages within 3 years of the accident or for personal injury damages within the 2-year statute of limitations, will cause you to lose your right to file forever. Also, failing to be insured before an accident occurs, will cancel your right to non-economic damages under Prop 213. But the most common reason to bear an unnecessarily heavy financial burden due to a car accident that was not your fault, is failure to file a lawsuit at all OR failing to enlist the help of a good accident lawyer who knows how to efficiently fight for your full claim – and has the clout to cause uncooperative insurance companies to make a fair offer. Suddenly being hit with tens or even hundreds of thousands of dollars in expenses due to an auto accident is enough to destroy most people’s finances for years, decades, or even for life. 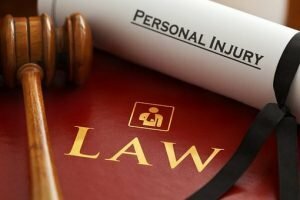 Don’t think of filing a tort lawsuit as a means of “getting even.” It’s a means of obtaining your rightful reimbursements for losses suffered, so you can survive financially in the years ahead.